With Carroll and North Central both losing tonight, NPU finds itself in a three-way tie for fifth with EC and NCC. I haven't sorted through all of the tiebreaker scenarios yet, but at first blush it appears to me that the Vikings will head to Decatur on Saturday very much in control of their own destiny. I haven’t done it all yet either, and tomorrow’s Wheaton-Millikin matchup will clear some things up. But as I understand it, Elmhurst-NCC is a play-in game, and North Park should be win and in as well. Side note: caught the end of this game. Good call, Greg! Yeah - big win for Park over Elmhurst. If WC beats MU tomorrow, then I think NPU also gets the #6 if NCC beats Elmhurst (2 pm tip off) since I think they have the tie breaker over the Jays. Elmhurst hasn't beaten Wheaton, IWU, Carthage or Augie while the Vikes have the W over Augie. At least I think . . .
* Elmhurst and North Central obviously cannot end the season tied, as the winner of Saturday's NCC @ EC game will finish at 6-10 while the loser finishes at 5-11. The winner gets one of the two remaining tourney bids. * If North Park beats Millikin on Saturday, the Vikings will claim the other remaining bid. North Central owns the tiebreaker over North Park (the two teams split, but NCC split with #3 Carthage, which swept NPU), so Saturday wins by NCC and NPU will result in the Cardinals getting the #5 seed and the Vikings getting the #6 seed. North Park owns the tiebreaker over Elmhurst (the two teams split, but NPU split with #4 Augustana, which swept EC), so Saturday wins by EC and NPU will result in the Vikings getting the #5 seed and the Bluejays getting the #6 seed. * If North Park loses, then there's at least a three-way tie for sixth (possibly four-way, if Carroll pulls off a home upset over Illinois Wesleyan). EC, MU, and NPU would all have split with each other, which would bring the ladder tiebreaker into play. Both Elmhurst and Millikin were swept by #4 Augustana, which split with North Park, so NPU would get in as the sixth seed. If, however, the other DuPage County songbird team devolving into that sixth-place tie is North Central, then Millikin wins the three-way tiebreaker by virtue of having swept NCC and split with NPU, while NCC and NPU split. In other words, within the tie the Big Blue would be 3-1, the Vikings would be 2-2, and the Cardinals would be 1-3. * In the event of an unlikely four-way tie for sixth place at 5-11 aplece between Carroll, Elmhurst, Millikin, and North Park, Elmhurst swept Carroll, while all of the other series between the four teams resulted in splits. Therefore, Elmhurst would get in as the sixth seed. If it's Carroll, Millikin, North Central, and North Park all tied at 5-11, there's splits all around. Thus, it goes to the ladder, and North Central gets the sixth seed by virtue of the split with Carthage. Nicely done Greg. Since Elmhurst/NCC tip is 2 pm, NPU and Millikin will likely know the stakes well before their start at 5 pm. An EC win will mean a true play in game. This is pretty fun I think - lots of teams still playing games that matter going into the last weekend (easy for a WC fan to say I suppose). I'm not sure that Commish Chris Martin et al really envisioned this but it's worked well for both the men and women. Good luck to all these teams. Hate to throw a monkey wrench into this, but since Millikin swept NCC we might need to re-evaluate the four way tie involving NCC. We’ll have to rerun the numbers, but that might be a Millikin tiebreaker edge. * In the event of an unlikely four-way tie for sixth place at 5-11 aplece between Carroll, Elmhurst, Millikin, and North Park, Elmhurst swept Carroll, while all of the other series between the four teams resulted in splits. Therefore, Elmhurst would get in as the sixth seed. If it's Carroll, Millikin, North Central, and North Park all tied at 5-11, there's splits all around except for Millikin's sweep of NCC. Thus, the Big Blue would get in as the sixth seed in the eventuality of this particular four-way tie for sixth place. * Carroll is the only team eliminated at this point, as there is no combination that would allow the Pioneers access to that sixth seed. 1) Rooting for Wheaton is an occasional necessity for NPU fans, and this is one of those times. Unappetizing as it is to cheer on Wheaton in anything, NPU really needs to keep Millikin from: a) joining what's currently a three-way tie for fifth that includes the Vikings; and b) creating the best trump card of all if things get down to the ladder tiebreaker, which would be a victory over the top team in the CCIW. It's not an absolute necessity, but North Park could dearly use a Wheaton win tonight down in the Griz. 3) Root for Elmhurst to beat North Central, or, in the case of a Vikings loss, hope that North Central had beaten Elmhurst earlier that day. In other words, the best outcome for NPU is to have the 'jays mirror the performance of the Vikings on Saturday, because NPU holds the tiebreaker over EC but loses the tiebreaker to NCC. Similar scenario for North Central: obviously pull for the win because if you win, you're in, and then root heavily against Millikin, except for the Cardinals it's for both their remaining games. 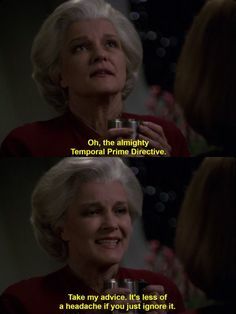 Not super complicated in the grand scheme of things even if tiebreaker math is like the Temporal Prime Directive. Item 3 in Greg's list sounds like some sort of bi-polar vortex. To put it in simpler terms based on how I understand it, assuming Wheaton beats Millikin tonight (as has been said, not necessarily a given): Elmhurst, North Central, and North Park are all in win or go home mode. Millikin is the only team not in control of its own destiny as they need the Elmhurst win over North Central as well as a victory over North Park to punch their ticket. NCC has the tiebreaker over North Park due to the split with Carthage, but Millikin has the head to head tiebreaker over NCC. Elmhurst loses tiebreakers to both North Park (who split with Augie; Augie swept Elmhurst) and Millikin (hypothetical split with Wheaton; Wheaton swept Elmhurst). Does this make you and I Dulmer and Lucsley from the UFP's Department of Temporal Investigations? While it wasn’t the prettiest game by either team (Wheaton with a very sloppy 19 turnovers, 6 by Hannah Williams alone), the Thunder will take the road win and go quietly back to Wheaton. Hannah Frazier led all scorers with 22 pts. Jordan Myroth had 10 with 8 rebs, 8 assts. Williams, Devin Kyler and Kristen Madsen with 11 pts each. The Big Blue were led by Briana Anthony and Aubrey Staton who each had 13 pts. Yanni Sadler with 10 pts and Jordan Hildebrand with7 pts, 6 boards. Officiating was pretty bad for Coach Lett all night. Wheaton finishes the regular season 21-4 / 15-1 and has a week long layoff until next Friday at King Arena where they will host the winner of who-the-heck-knows vs your-guess-is-as-good-as-mine . Congrats to Kent Madsen and his Thunder team for their outstanding regular season, one that certainly should result in unanimous* CCIW Coach of the Year honors for Madsen. Conference play consists of 72 wins, of which Wheaton got 15. With 16 all-CCIW spots to honor players, the proportional "share" could allot one for every 4.5 team wins. By this formula, Wheaton would be due 3 and 1/3 players on all-conf. The Thunder should be a lock for 3 and no one should gripe too much if they get 4. I'm hoping all 9 teams get at least one player on all-CCIW. * 8-1 assuming he can't/wouldn't vote for himself. Me, too. Every team in the league has won at least four games, and four wins ought to buy you a spot on the All-CCIW team for your best player. Titans with one more game up at Carroll. Likely they will finish 21-4 for regular season too -- a great year. Congrats to Coach Smith and all the Titans. 20+ wins always good. Seems Merritt and Shanks likely on All-CCIW. Personally, I hope Raven Hughes also gets honored, second team. WC and IWU get some rest, a week for prep for the CCIW tournament as the lower seeds fight it out for the trip to Carver and the last four. If WC and IWU get to the tournament championship game for the AQ, let's hope the Titans can finally solve how to beat Wheaton this year. Third time's the charm? Elmhurst nips North Central, 61-59, in a ragged but hugely exciting game. With the 'jays up by two with under nine seconds remaining, Lauren Goff stole an NCC inbounds bass at halfcourt, was fouled, and made two FTs with :07 left to give the 'jays what looked like an insurmountable four-point lead. But Page Desenberg was fouled while shooting from beyond the arc -- a huge defensive no-no in that situation -- with a second left on the clock. She made the first two FTs, deliberately missed the third, and the ball was knocked out of bounds by Elmhurst with two-tenths of a second remaining. Unable to catch and shoot in that situation, the Cardinals had to tip the ball in off of the inbound pass, and the tip fell short. EC put itself into the nailbiting predicament not only by committing that final dangerous foul but by missing five out of six FT attempts in the final 32 seconds prior to Goff's two makes. The keys to the game, I thought, were Becca Gerke's ten points off of the bench in the second half after not even getting into the game in the first half (taking advantage in part of NCC being shorthanded inside after Natali Dimitrova hurt her ankle in the first half), as well as the quick hands of Kelly Weyhrich, who had three steals in the final four minutes of the game (including a huge one in the final minute that helped EC assemble that four-point lead) and a big tie-up of Lyndsay Brennan after the NCC forward had put herself in position to tally an easy putback near the end of the game. Elmhurst clinches a tourney berth, although we don't know which seed the 'jays will have yet. That's all up to the NPU @ MU game scheduled to tip off in the Griz in an hour.